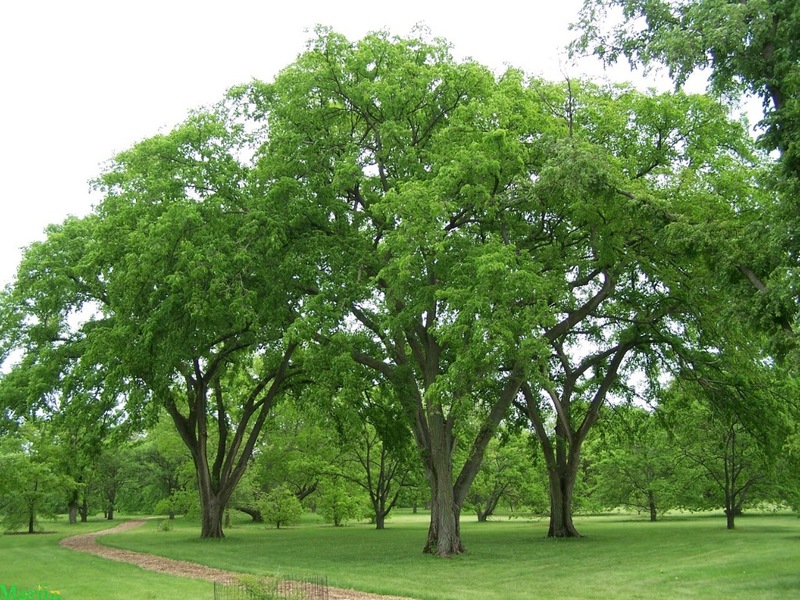 Did you know that American Elm trees dominate our Winnipeg landscape? As you drive down many residential streets, you will find a tree with a lush canopy and spreading branches. An easy way to tell if you are looking at an Elm is to observe the branching pattern; the overall shape of the trunk looks like a “Y”. The primary visual difference between American Elms and other trees found in Winnipeg is the shape of their crowns. American Elms have an umbrella-like shape, while other trees have a round or oval crown. Elms can be found in our yards, parks, riverbanks, neighbourhoods, and along most of our streets. They are native to Winnipeg and grow extremely well in our climate. As you can tell from the image, American Elms grow very large and you wouldn’t typically plant an Elm in your back yard. However, there are other species with similar qualities. Contact B. Rocke Landscaping for more information about identifying trees, or other gardening ideas! American Elms form a canopy on a residential street in Winnipeg. De Mesa, Omar. “American Elm.” Photograph. 2014.